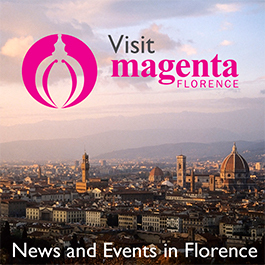 From June 2-5 Montelupo Fiorentino will host markets as well as workshops on ceramic making and showrooms open to the public during Ceramica 2016, in addition to the second part of Materia Prima’s ceramic sculpture city-wide exhibition. The official launch takes place on June 2 at Piazza Vittorio Veneto (6:30 pm) with the inauguration of the market and the ceramics exhibition, and the outdoors display of works by Bertozzi & Casoni, Loris Cecchini, Ugo La Pietra and Hidetoshi Nagasawa. The artists’ pieces will be visible throughout the town mixing the ideas of modernity and the importance of tradition. 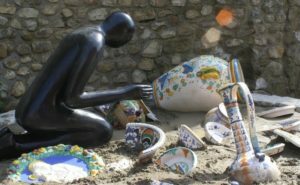 The market connected to Ceramica 2016 makes unique, quality products available under the name “Le forme della terra” (“Transformation of Soil”), where visitors can meet world-famous artists, as well as local artisans, all of whom will present their creations. Throughout the week colorful programs invite the public not only to see, but also experience the artistic use of raw material underlying ceramics, the materia prima. Following the March opening, a second project room of Matera Prima will be accessible starting on June 2, showcasing the talent of artists Morgane Tscheimber, and Irene Lupi, with displays inspired by such intangible concepts as antique rituals and memory. Ceramica 2016, on the other hand, places strong emphasis on interaction. In the process of bridge building among art, artists and the audience, children are given a special role. Story-telling tours involving role-playing scheduled every day at 4 pm at Piazza Vittorio Veneto, to familiarize little ones with art and artistic self-expression. Workshops for kids have been organized to foster creativity and the exploration of different materials, under the guidance of artists every day from 5 – 7 pm at Palazzo Podestarile garden. One of the most spectacular projects of the festival is the opening of local workshops. These all-night-long events will be held on June 3 and June 5 at 10:30 pm. Ceramics and glass will be processed in the open kilns until the morning hours, giving a very close look into real-life production, lighting up the town’s night skyline with warm, fiery colors. Ceramica 2016’s overall aim is to interconnect the fields of art, and unite them under the theme of ceramics. Expressing this concept, collateral events such as a photo shooting marathon, and photo exhibitions will also be held, in addition to bike tours and walking tours. Piazza della Libertà will host video projections, video-mapping and light shows every night after sunset. Piazza Vittorio Veneto will be the center of street performances, where entertainment will continue at 10 pm with public concerts. Large-scale site-specific installations are showcased in complementary venues. The exhibits are the result of collaboration over the past months between international artists — Gianni Asdrubali, Bertozzi & Casoni, Loris Cecchini, Ugo La Pietra, Hidetoshi Nagasawa, Lucio Perone and Fabrizio Plessi — and local craftsmen. The seven locations — Piazza Vittorio Veneto, Piazza VIII Marzo gardens and others — provide a setting for the art itself within a historical context. Montelupo is rich in ceramic tradition dating back to the 1200s. While the time-honored significance of this art form is one the city holds dear, Materia Prima has made it clear it does not want to be defined by the past. Innovation and creativity is an integral part in the artistic process, and opening to the ideas of younger generations is an important component, which the organizers wished to emphasize. The event features displays by modern sculptors centered on the influence of Leoncillo Leonardi, with contributions by Giuseppe Spagnulo and Luigi Mainolfi, in addition to a project room dedicated to ongoing work by ceramic artists under 35. With this combination, Materia Prima hopes to integrate elements of tradition and contemporary ideas into one. All of the creative variations are closely tied to the common theme of clay as the single raw material.